Contact us for long term, weekly and all other current specials. Our 3 exquisitely presented serviced apartments is located right in the heart of Williamstown's shopping precinct and only 1 block from the famous Strand Waterfront. 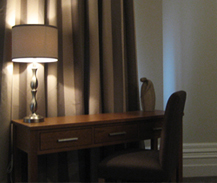 All of our suites are spacious, comfortable and incorporate style with functionality for all travellers.